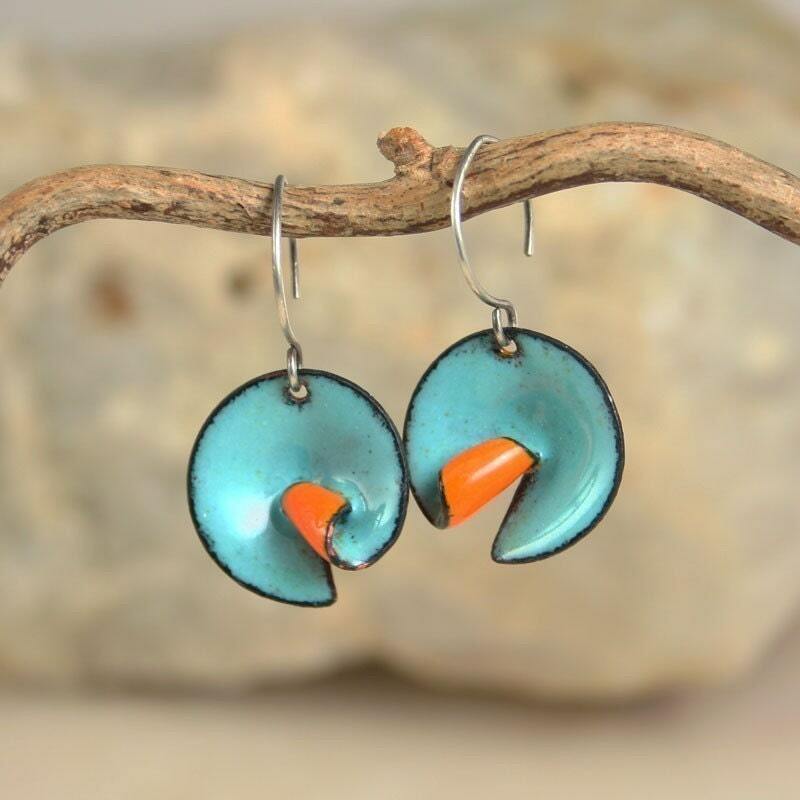 "Vitreous enamel, usually just called enamel...is a material made by fusing powdered glass to a substrate by firing, usually between 750 and 850 °C (1380 and 1560 °F). The powder melts, flows, and then hardens to a smooth, durable vitreous coating on metal." The colors that this shop owner produces are gorgeous. Also, not only is the color of the jewelry amazing, the actual design of the jewelry itself is just lovely. 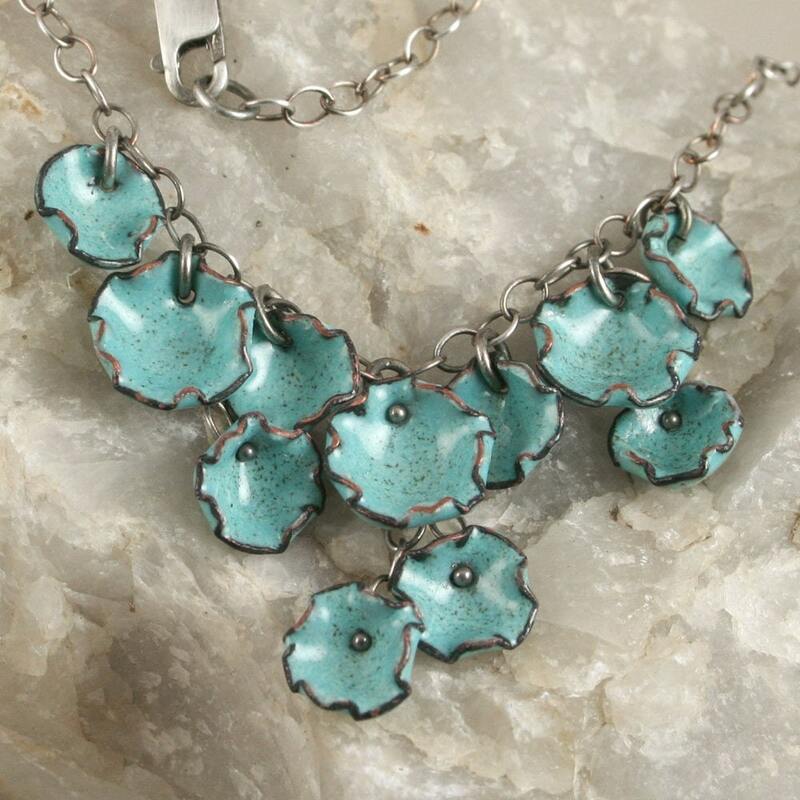 The inspiration for the pieces seem to draw from nature, as many of the jewelry designs feature flowers, leaves, and an animal here and there. This robin's egg blue necklace wrenches at my heart. I need it! 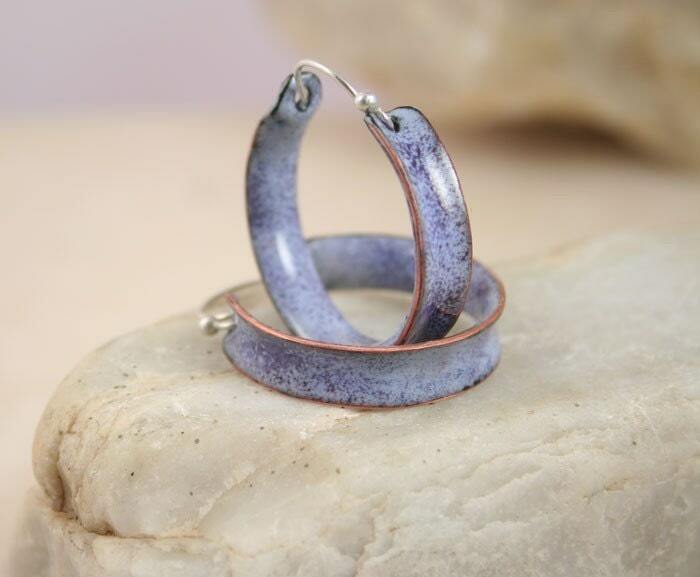 This simple hoop earring is offered in a variety of colors. 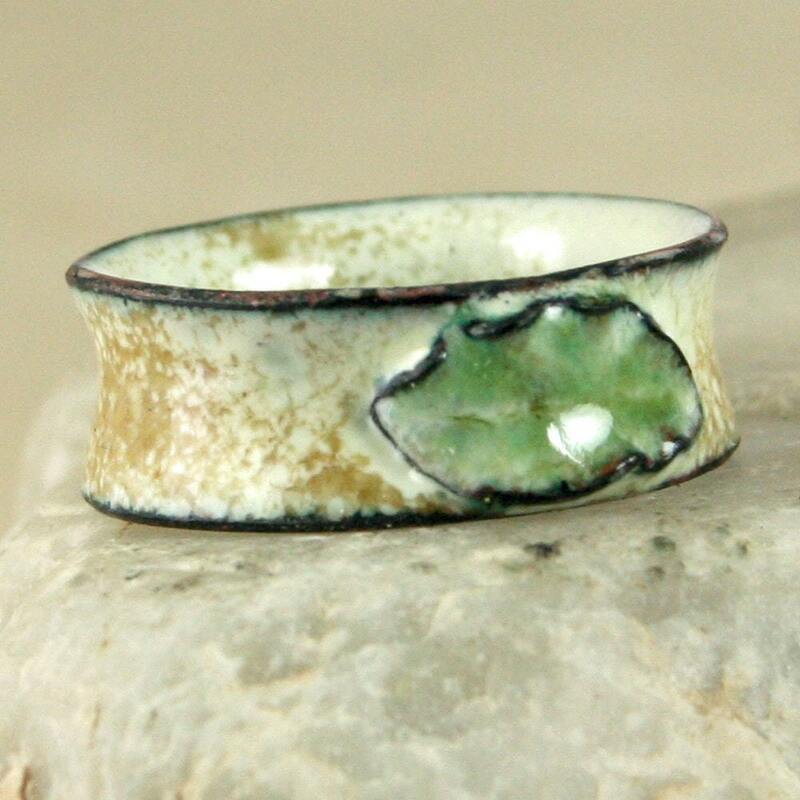 This copper enamel ring can be made to order. I see lily pads , but these are referred to as curled circles in the shop. So cool! 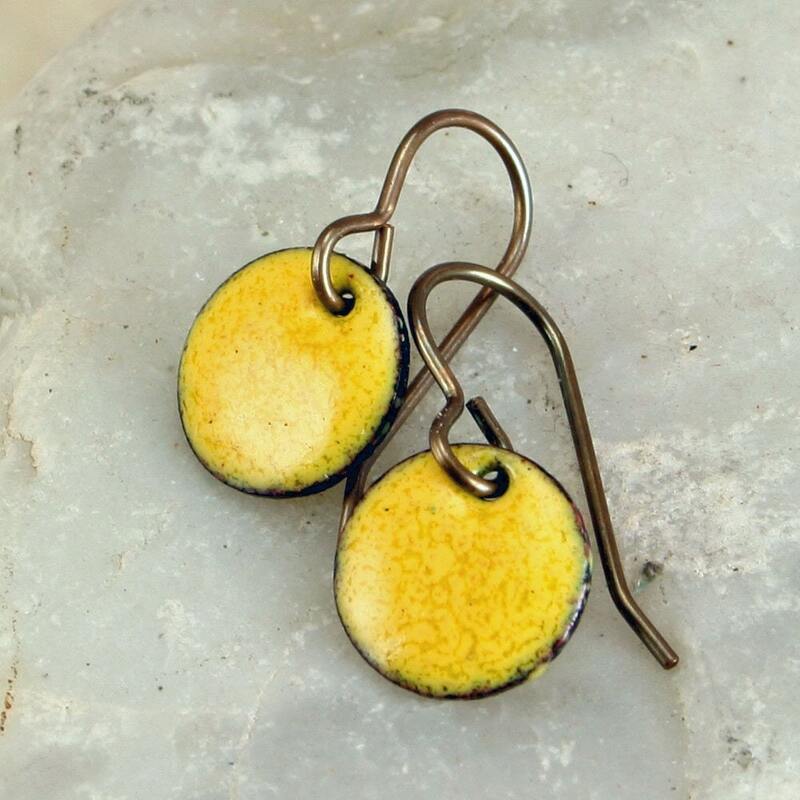 Super cute sunny yellow earrings (the discs are less than 1/2"). Wonderful finds! Thank you for sharing. Great meeting you through the Etsy Blog team! 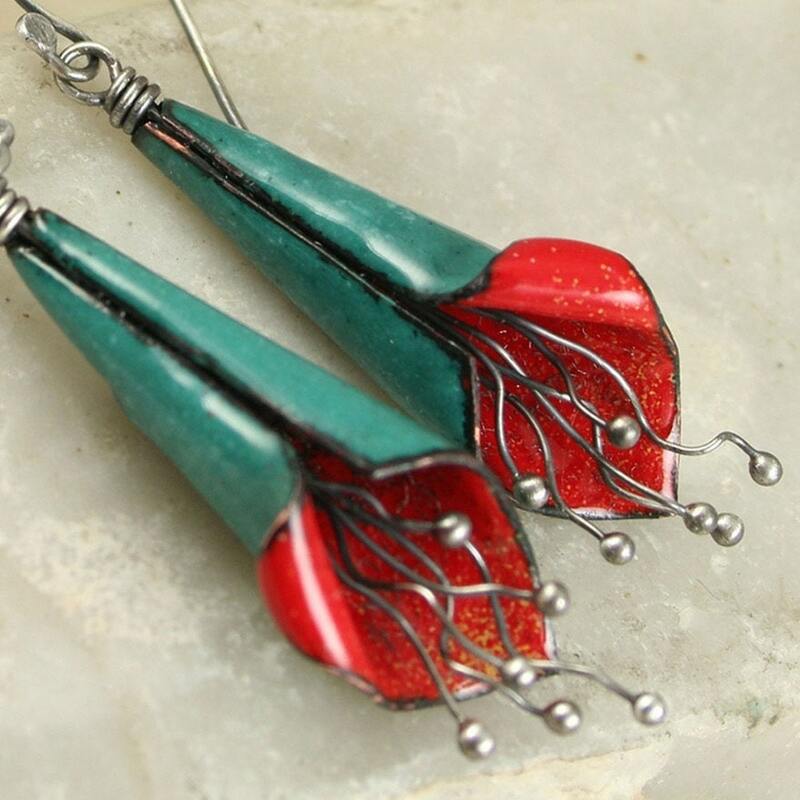 Such beautiful pieces, I can see why you're drawn to them. How nice of you to Feature my Jewelry. You are so kind. And your kitty is very unique also! !